Samples are hand decanted from the original licensed design house fragrance. Samples are not a licensed design house product. the customer will receive the original Fragrance hand poured into a sterile glass vial. MyPerfumeSamples is not affiliated with design house in any manner. This product has not been reviewed. You could write the first review. 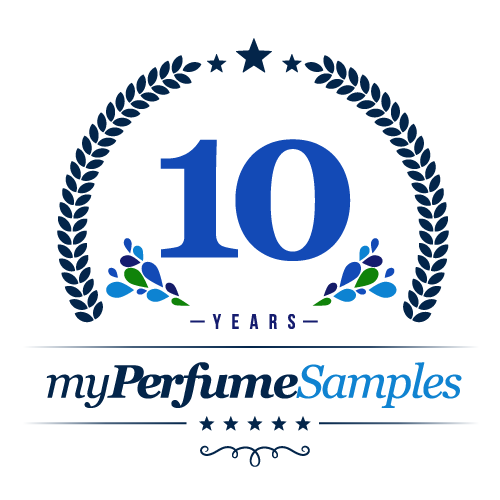 Guarantee & Disclaimer: At MyPerfumeSamples.com our main goal is to provide consumers with access to fast and quality service that rivals an "in-person" retail store experience. We guarantee every sample we provide is the genuine brand name fragrance selected. No fragrance is ever tampered with or diluted. All items purchased from MyPerfumeSamples.com are 100% authentic perfumes, colognes and beauty products. Our perfume and cologne samples are hand poured from the original licensed design house bottled using sterile pipettes, funnels and atomizers. Samples provided are not licensed design house products. MyPerfumeSamples.com is not affiliated with design house in any manner. We value your trust and support. Subscribe to our newsletter and learn about our 5¢ blowout sales! Also, get a coupon for 10% OFF instantly when you subscribe today!